The cruise industry is always on the lookout for ways to help enhance the passenger experience, so much so there is hardly ever a dull moment at sea these days. Each season new restaurants, guest chefs, demonstrations and starry sommeliers are brought on board to highlight the pleasure of cruising. New shops and retail experiences are introduced and then, of course, there is beauty, fitness, wellbeing and sheer pampering. There is hardly a massage (shiatsu or Swedish), facial (anti-ageing or nourishing) or fitness regime (Zumba or Pilates) that isn’t on offer in some form or other while cruising through some of the most beautiful waters in the world. So it was only a matter of time before two of the biggest hitters met and decided to pool their resources – Celebrity Cruises and Canyon Ranch; the former, renowned for their modern luxury offering and the latter one of the most prestigious spa brands in the world. 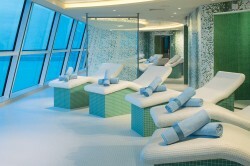 Together, they will launch the Canyon Ranch Spa Club on 10 ships throughout March and April. And the spa brand that, to date, can be experienced only on a few luxury ships (as well as on land at Miami, Lenox Massachusetts and of course, at its iconic original property in Tucson Arizona) will now become a sea-going paragon. Over the last 30-plus years, the Canyon Ranch experience has offered treatments, therapies and programmes not available elsewhere. Its treatments can run from one hour to a whole day, while its programmes include everything from stress management to weight maintenance, and physical fitness to sleep enhancement. Now all this knowledge and expertise will be brought to bear on Celebrity’s 10 ships, all of which will offer a selection of the top-rated specialities from the spa. These will include indulgent facials and facial enhancements such as medi-peels, massage, thermal therapies, Asian touch and Reiki healing energy treatments. 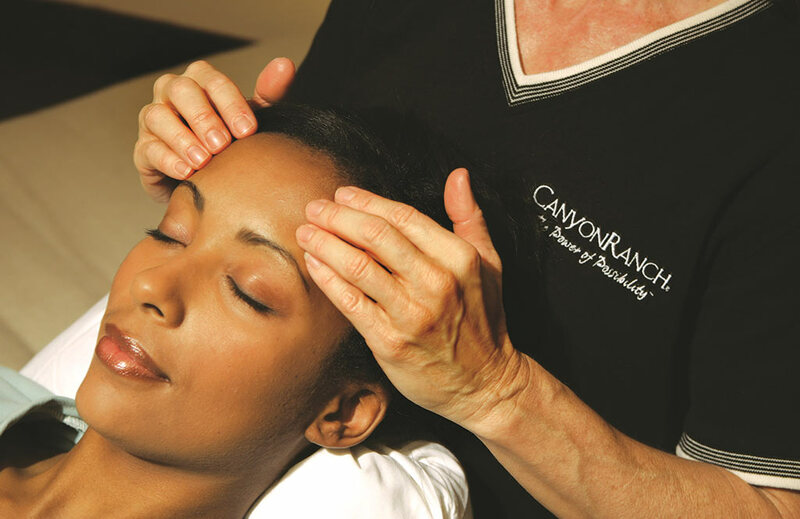 And, of course, into this mix will be offered the original Canyon Ranch hot stone massage, which uses warm basalt stones to help reduce tension and knots in muscles and joints. There will also be a selection of salon offerings, including hair care, nail and make-up services, such as lessons in make-up for those special evenings. Fitness lovers can choose from private consultations to group classes, including yoga and meditation, Pilates, cycling, Mind/Body Connection and relaxation – all led by Canyon Ranch-trained fitness experts. Wellness programmes, for which Canyon Ranch is famed, will also be available and these will include bespoke exercise prescriptions, private nutritional consultations and acupuncture, while chiropractic therapy and Canyon Ranch Healthy Feet™ centres will be available on select ships. Our feet are often overlooked while we take care of the rest of our bodies, but Canyon Ranch pays particular attention to the damage we can do to our joints and posture, knees and neck if our feet aren’t properly cared for, which has made their Healthy Feet regime keenly popular. Additionally, Canyon Ranch health experts will provide on-board wellness lectures, workshops and cooking demonstrations. Canyon Ranch Spa Clubs will be based in the ships’ opulent Persian Garden spa area, ideal for pre and post-treatment relaxation, with heated mosaic loungers, aromatherapy-infused steam grottos, infra-red saunas, steam rooms and sensory showers. The excitement is almost palpable when you hear the two companies talk about each other and what their combining can do for the cruise experience. Celebrity President and CEO Michael Bayley said: “We are passionate about providing our guests with unforgettable experiences, and this collaboration is an important milestone in our drive to elevating guests’ modern luxury cruise holidays. Wellbeing on the waves has rarely seemed so desirable.